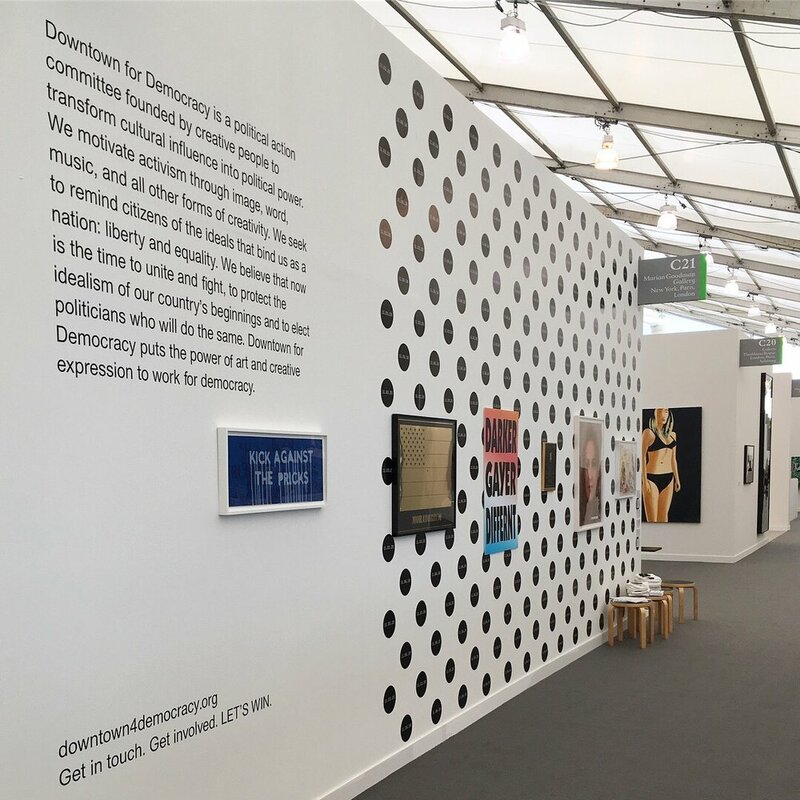 D4D presented new works by Richard Prince, Paul Chan and Rashid Johnson, as well as original and limited edition works by Katherine Bernhardt, Marilyn Minter, Cecily Brown, Guy Richards-Smit, and Jonathan Horowitz. We sold out of a few editions and made lots of new friends. *Many thanks to Marian Goodman Gallery and to the artists and friends who continue to support our work! Paid for by Downtown for Democracy Independent Expenditure Committee and not authorized by any candidate or candidates's committee.